I found this posted online this evening, and thought it was the perfect excuse to get back into blogging instead of just posting short answers on Twitter. 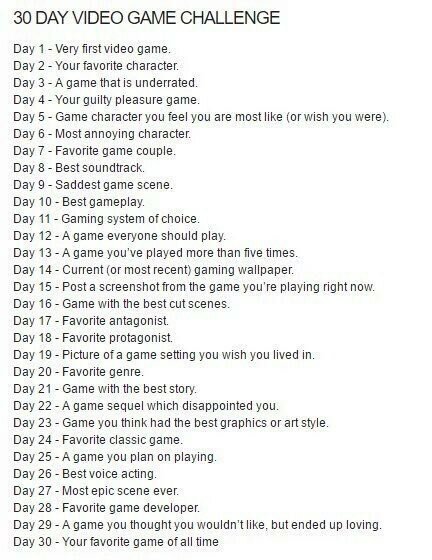 Day 1: Very first video game. For that, we'd have to go back to the waning days of the Atari 2600. 1987. I was probably around 3 1/2 to 4 years old, so my memories are very short. However, I do remember my uncle having an Atari system and wanting to play Pac-Man and Frogger. I can vividly remember my mother saying, "We'll have to see if Brett can hook it up," and my childlike brain fixating on the up portion, thinking he was going to hang it up in the air! An Atari suspended from the ceiling is far from the worst idea, although probably impractical in the 1980s. 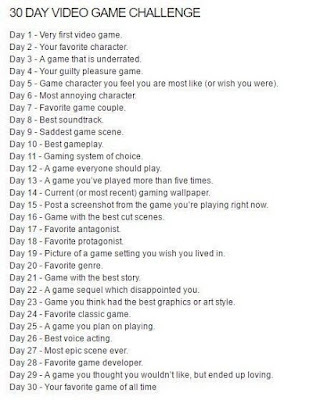 Much of my memories of these games comes from playthroughs as an older child, but I'll always have a soft spot for Frogger and Atari 2600 Pac-Man.